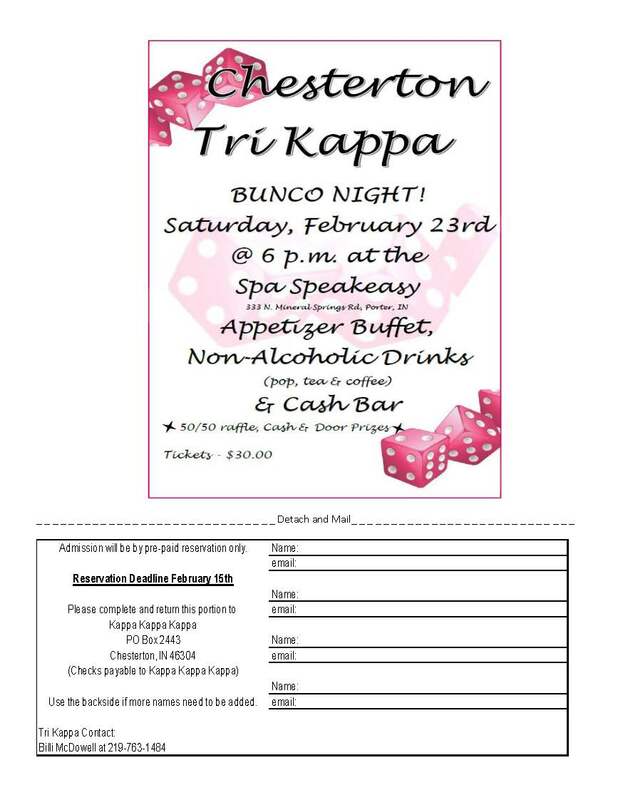 Chesterton Epsilon Kappa Bunco Night | Kappa Kappa Kappa, Inc.
Come out for a fun night of Bunco. Ticket price includes appetizers, water, soft drinks and coffee. There will be a 50/50 raffle, cash bar, along with cash prizes and door prizes. Click here for more information.